Popular holidays:Albufeira holidays are some of the most popular of all holidays in the Algarve, and with good reason too. Perhaps it’s because they offer something for everyone, from the cultured styling of the old town, to all inclusive holidays around the action packed modern day delights of the strip. Beach holidays: There are actually over twenty beaches within reach during your Albufeira holidays, so that’s another clear example of why this resort is so popular! The sand is generally of the light golden variety, with the searing sun of the Portuguese coast amplifying the beauty of the area. Golfing holidays: Amazingly, there are also more than twelve golf courses within the area of Albufeira holidays. The wonderful seafront views and beautifully tended green lawns ensure that golfing holidays here are a real delight! Lively nightlife: The modern, more built-up part of town known as ‘The Strip’ is where you’ll find all your nightlife needs catered for on Albufeira holidays. Along this long street you’ll come across British pubs, themed bars and exceptionally loud clubs. Paderne Castle: Around 8km from the centre of Albufeira holidays, this medieval castle has a long and interesting history. It actually dates back to the 12th century, when it was built by the Moors during their occupation of Portugal. However, the castle’s real claim to fame is that it’s one of seven that are displayed on the Portuguese flag! Silves Castle: This impressive castle is a little further away from Albufeira, 13km away to be exact. But it’s well worth travelling the extra distance to see this remarkably well-preserved piece of medieval architecture. The solid burnt-amber coloured walls belie an extensive history dating back to the 8th century. Quad Ventura: The quad biking tracks you can ride during Albufeira holidays are extremely highly rated. How else would you be able to tour over 60km of Albufeira’s lush green forests and hilly trails? Plus, not only do you get to look at a multitude of beautiful attractions but you also get to roar around on speedy quad bikes! Zoomarine: This popular zoo and theme park offers a whole host of fun attractions for Algarve holidays. Within its grounds you can view a 4D cinema, see huge life size models of scary sharks and even relax at the large swimming pools based here. That’s not forgetting the fun rides like rubber dinghy slides, a big wheel and brilliant animal shows. Aqualand Algarve: This well-equipped water park is just 10km away from Albufeira in Alcantarilha. So in just a short taxi ride you could be enjoying all the exciting slides and rides like kamikaze, corkscrew and Congo River. It’s a great place to visit for fun on family holidays. CS Salgados Golf Course: A beautiful golf course within an established nature reserve, Salgados is also the closest course to Albufeira holidays. Being a protected nature reserve, the course is actually a habitat for a wide array of birds, so expect to see lots of wildlife whilst on your trip around the challenging holes. There are a range of luxurious hotels offering all inclusive holidays nearby too. Praia dos Pescadores: Literally translated from Portugese as ‘Fishermans’ Beach’, this popular spot located in the old town of Albufeira is still used as a fishing dock today. The golden stretch of sand here is incredibly enticing on your Albufeira holidays, as are the crystal clear waters and dramatic overhanging red cliffs. Praia do Tunel: Known as the Tunnel Beach in English, this gloriously golden beach can only be accessed by a tunnel through the red rocky cliffs. Being in quite a convenient location along the old town, this beach also becomes incredibly popular during the summer holidays. Praia de Oura: This wide expanse of golden sand is one of the most beautiful beaches in the Algarve. In just a short walk from the centre of Albufeira holidays, you could be enjoying the warm turquoise sea and secluded shady caves of this unique beach. Dom Carlos: This restaurant is in a rather unusual location, based right at the corner of a crossroads in the old town of Albufeira holidays. The interior is just as opulent, with ornate pictures and intricately designed cutlery. The food includes delicious dishes like prawns with mango, rack of lamb and home baked chocolate cake. Johnny Hooper’s Saxophone Bistro: More an entertainment event in its own right instead of a restaurant. At this fun Bistro you’re likely to see Johnny playing live music (indeed with his saxophone) whilst you enjoy your meal on your Albufeira holidays. The English Kitchen: Fancy some classic British food when you’re on your holidays? Well the English Kitchen is ideal for you! This cosy, welcoming restaurant has both inside and outside seating where you can enjoy all kinds of British dishes like cottage pie, battered cod, and bread ‘n’ butter pudding. 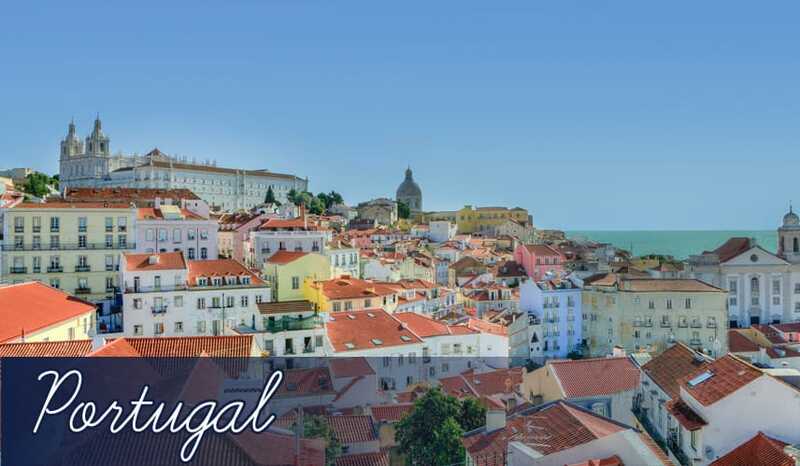 The Strip: As well as being a bustling hub for restaurants and shops, The Strip is also the best place to head for nightlife and entertainment on your Albufeira holidays. Some of the top bars include Cuica, La Bamba and Sultan Bar. Old Town: The centre of the pretty whitewashed village of Albufeira also has its fair share of bars. The best of these include the friendly Jo Jo’s and Bizzaros Brazilian Bar. Even if you’re on all inclusive holidays in Albufeira you should still head here to take in the atmosphere. Clubbing holidays: Then there’s the lively mega club Kadoc based just outside of Albufeira. This huge club can hold over 7000 people and plays a variety of dance tunes by big name DJs during the summer. Shopping streets: There are two main shopping streets on Albufeira holidays, both of which are lined with craft shops selling leather, ceramics and basket ware. And it’s not all about souvenir shopping either, as there are a number of clothes shops offering original styles, such as the Oceana Boutique. Bustling market: Around 40 minutes from the centre of Albufeira, the Calicos Market is a very popular place with locals and tourists alike. The stalls mainly sell fresh fruit and vegetables, but it’s also possible to pick up locally produced wine, honey and herbs for bringing back home with you after your Albufeira holidays. Shopping centre: There’s also a modern shopping centre just outside of the city walls of Albufeira, named (appropriately enough) the Algarve Shopping Mall. Within this cool, air-conditioned environment you’ll have over 80 shops to choose from. There’s a great variety here too, with shops featuring famous labels and European brands. There’s even a food village, a huge cinema and a bowling alley!